The Grotto of Massabielle is bordered by the Gave de Pau in the north and east, and the Rock of Massabielle towers above it in the south. It is 9m50 deep and is the place where the Virgin appeared to Bernadette Soubirous, a 14-year-old girl from Lourdes, in 1858. 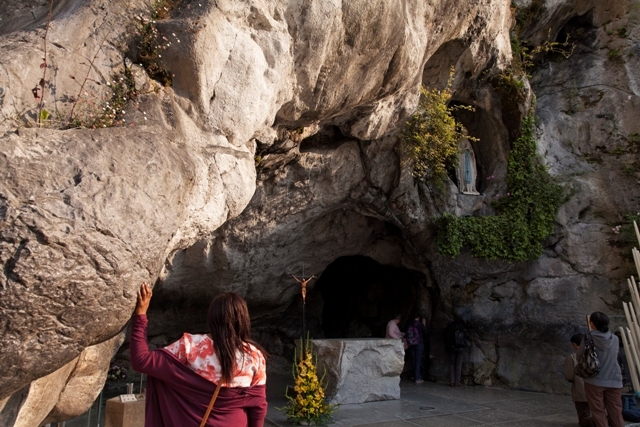 At the back left of the Grotto is the Spring, which was uncovered by Bernadette following the Virgin’s instructions. Water from the Spring is channelled into the town’s fountains, swimming pools and the water’s path. 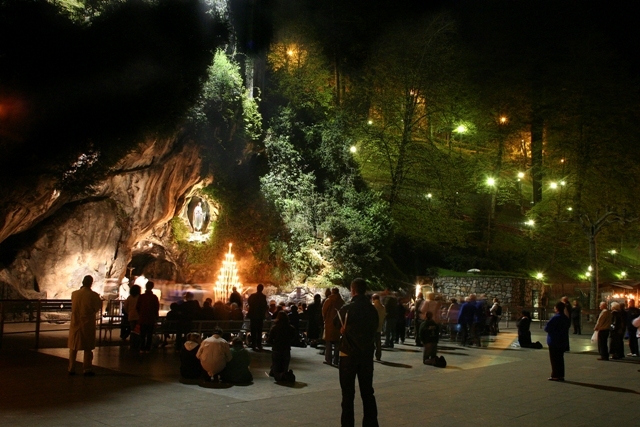 The Grotto is one of the Sanctuaries’ must-see places, and receives around 6 million visitors a year.